23 Sep Boom in Men’s Grooming category providing a new dimension to Beauty retail ! Off lately, I have been observing an upswing trend in Men’s grooming category in the Middle Eastern beauty retail sector. There has been an introduction of various men grooming brands (right from hypermarkets to gas stations). Brands like Beardo (Indian originated endorsed my Bollywood actor Suneil Shetty), the art of shaving, Biotherm for homme (L’Oréal), Clinique for men, Nivea men, Neutrogena -men; all have made their foray into the retail sector and are doing well. So how big is the men’s grooming products market? According to TechSci Research, the men’s grooming market in MEA was worth USD 3.58 billion in 2016 and expected to touch USD 4.32 billion by 2022. What is fueling this growth in this category? Trends: Men’s grooming routines have moved far beyond just a quick shave. Today, many men have elaborate routines for making sure they look presentable, if not fashionable before they face their day. 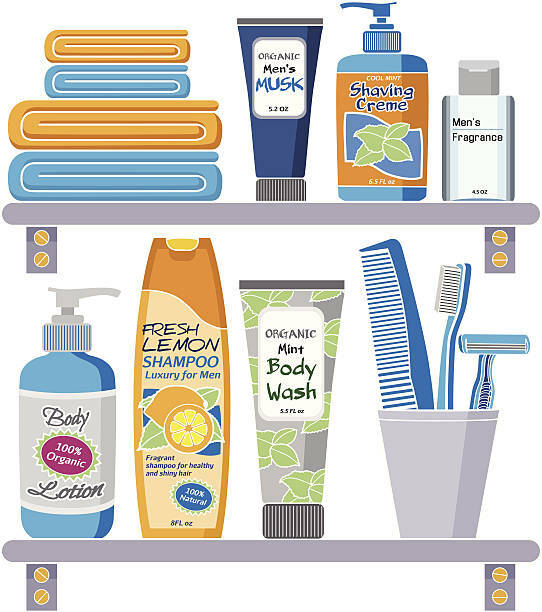 These consumers are buying more grooming products, and retailers that keep up with the current trends in beard care, hair care, and skin care can succeed in this growing category. Focus on styling & looks & taking care of “Me” psychology: The next generation of men are looking to brands and retailers to fulfill a need to express their personal style, including their grooming products and rituals. The inner need to make their presence felt & feel successful. Today’s Millennials and Gen Z are internet savvy and have the power of computing in their palms i.e. mobile phones and knows what to buy at a click of a button. There has been an upsurge in the subscription model for men’s grooming products across (especially in the Indian subcontinent). Companies like Dollar shave club, Indian grooming club, The Tie bar, Birchbox, and Raw nature are all trying to woo the new age Men. How are retailers adapting to this change in consumer’s trend? International Retailers have responded to the growing demand for male grooming products with store designs matching men’s needs. For example, some department stores have created dedicated sections for male grooming products. Macy’s opened a “men’s grooming zone” at its downtown Philadelphia store, featuring face wash, moisturizer, and other male skin care products. Nordstrom made a similar move by relocating the men’s grooming counter inside the men’s furnishings area. Kiehl’s, an upmarket skincare brand owned by L’Oréal, has a significant male customer base. According to the company, it estimates that 30% of its customers are men. The brand has over 300 stand-alone shops in over 40 countries, and the store designs are made to make both men and women comfortable when they shop. The region’s increasingly youthful population is also seen as a market opportunity as manufacturers look to target the young modern male who is becoming increasingly conscious about appearance. The region’s modern male is perceived to be more ambitious, better connected and networked, more technologically savvy, and has more spending power than ever before. There is a huge opportunity for local manufacturers and companies to tap into the category either using their retail store formats or by online selling or by subscription-based model. Founded in 2011. 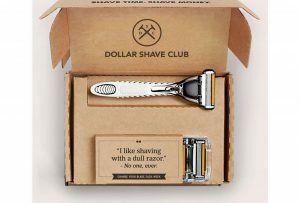 The US startup offers a monthly membership service for razor blades home delivery for a fee as little as $3 a month. It also offers other grooming categories such as post-shave moisturizer and hair styling products. As the startup sells solely online, its marketing efforts are targeted at the internet-savvy millennials. The startup creates content on social media that clicks with millennials—the message is authentic, direct and with a touch of humor. In 2015, it was acquired by Unilever for whooping USD 1 billion, thus making it one of the Unicorns in the startup fraternity within Men’s grooming sector. In case any of my readers want to know more about this category or innovative distribution channels then you know who your Go-to person is. Ritesh Mohan is a passionate retail professional with over 20 years in the Retail sector, handling some of the biggest brands in beauty, fashion and fragrances retail & FMCG sector. He has been instrumental in the growth of some of the regional brands as well in the Middle East region. He specializes in Retail management, Product development, and Brand Management, Retail Operations, Sales Management, and Franchising & Business Management. He strongly believes in empowering business owners with his wisdom & experience of around two decades in the industry.